Dr Sagoo one of the leading cosmetic doctors in the UK is proud to be the first and only doctor in the UK to offer the latest laser in the world for treating vitiligo, psoriasis, alopecia areata, resistant dermatitis, acne and other inflammatory skin conditions that do not respond to conventional treatments. We introduce to you the ExSys Excimer laser. 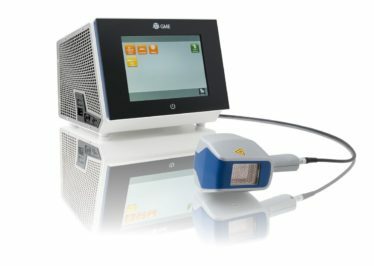 Having undergone speciality training in Germany with leading world renowned experts in Vitiligo; Dr Sagoo can now exclusively offer the excimer laser to the Solihull Medical Cosmetic Clinic the No 1 clinic in the Midlands. The ExSys Excimer Laser 308 nm offers a revolutionary new treatment that may help to improve symptoms of vitiligo, eczema and psoriasis. This laser uses a carefully focused beam of light delivered through a sophisticated fiber optic device. The Excimer system allows the practitioner to use high doses of UVB light, which can help to cause fast, effective treatment of the eczematous patches, whilst minimizing the risk of exposure to healthy skin. For patients with resistant eczema, this new laser may produce improvement and is quick, effective, and painless. Patients may be able to obtain relief in just four to eight brief sessions, compared to about 25 to 30 treatments with conventional phototherapy. Remissions may last months. What is Irritant Contact Dermatitis? Irritant dermatitis is an irritated skin reaction to specific compounds or agents outside of the body that the skin contacts repeatedly, such as chemicals, detergents, or oils. It may involve swelling, redness, itching, blistering, “weeping” clear fluid, crusting, formation of clear vesicles, pustules, dryness, peeling, or allergic-like reactions of the involved area. Irritant dermatitis may continue for months at a time. What Does Irritant Contact Dermatitis Look Like? Acute cases of irritant dermatitis may involve multiple small, clear fluid-filled blisters on well-bordered, raised, red patches. These small blisters often burst, causing a yellow crust to form around the irritated region. Irritant contact dermatitis lasting longer than one week may appear as red bumps, which may form entire plaques across the skin having indistinct borders, as well as dryness, itching, peeling and scabbing throughout the affected region. This appearance may be difficult to discern from other types of dermatitis, such as atopic dermatitis (i.e. eczema) or allergic contact dermatitis (e.g. nickel allergy). Secondary bacterial infection may cause the formation of pustules, which often become tender and eventually burst. Chronic cases may involve dull red, extremely itchy, cracking, peeling, thickened and leathery skin. Symptoms are localized only to areas in which the irritating chemical or causative agent has contacted. Who Does Irritant Contact Dermatitis Affect? Irritant dermatitis may affect individuals of all ages working with or around irritants such as abrasive substances, detergents, acids, alkaline agents, oxidants, reducing agents, plants, animals, enzymes, or particulate fibers such as fiberglass or wood dust. Irritant dermatitis may affect anyone, given sufficient exposure to irritants, but those with atopic dermatitis are particularly susceptible. 80% of cases of occupational hand dermatitis are due to irritants, most often affecting cleaners, hairdressers and food handlers. Irritant dermatitis is caused by the immune system’s reaction to chemical or mechanical damage to the skin. With each new exposure, the irritating agent kills or damages skin cells, causing an amplified release of inflammatory agents from the immune system. These agents promote itching, redness, and flaking. The end result is a chronic inflammation of the skin, as well as a perpetual migration of blood cells and immune system cells to the affected location. 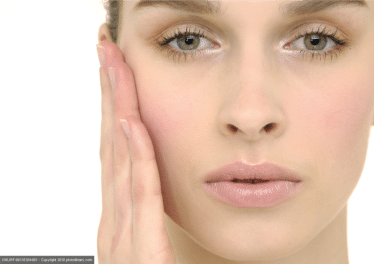 What Triggers Irritant Contact Dermatitis? Certain factors may trigger irritant dermatitis, especially in workers exposed regularly to chemicals, powders, or irritating agents such as those listed above. Factors exacerbating the condition include continued exposure to the causative agent, previously diagnosed atopic eczema, and activities such as car maintenance, gardening, or hobbies causing repeated skin abrasion. In all cases of irritant dermatitis, rubbing and scratching are behaviors that worsen the condition by introducing the possibility of secondary bacterial infections to the involved areas. How Can My Irritant Contact Dermatitis Be Treated? Identification of, and reduction of exposure to, the specific irritant in an individual’s daily environment is the primary means of preventing irritant dermatitis. For recurring flares, topical anti-itch lotions may be given to control excessive itching and rubbing. Topical steroid creams may help to reduce inflammation, and topical anti-bacterial lotions or oral antibiotics may be given to decrease secondary bacterial infections, reducing pustules at the site. Laser treatments may also be used to help in small areas. Hydration using unscented moisturizing lotions is important in preventing dryness, and non-liquid soaps should be avoided. For more information on available treatments for irritant dermatitis, or to schedule a visit, please call and speak with a representative at the Berman Skin Institute. Eczema is a very common, inflammatory reaction of the skin to any of a wide number of causative agents. Atopic dermatitis, the most common form of eczema, is a skin disorder involving an overly sensitive immune system reacting to otherwise normal substances that the skin or body contacts. Eczema may involve swelling, redness, itching, blistering, “weeping” clear fluid, crusting, formation of pustules, dryness, peeling, or allergic-like reactions of the involved area. While some cases of eczema are shorter lasting, others may continue for months or even years at a time. Eczema may display a variety of characteristics. Eczema in its mildest form may appear as dry, itching, and flaking skin. In some patients, eczema may appear as red bumps forming entire plaques with indistinct borders, as well as dryness, itching, peeling and scabbing throughout the affected region. Secondary bacterial infection can cause tenderness in the area. Chronic cases involve dull red, extremely itchy, cracking, thickened and leathery skin. Eczema tends to occur in the flexural regions (backside of elbows, knees), neck, wrists, ankles, creases of the body, face and scalp (in infants). Eczema is very common and affects many different types of individuals. The prevalence of eczema is estimated at 15-20% among children, and 2-10% of all adults, with males slightly more affected than females. Children of individuals with eczema have a 60% chance of being affected. Eczema usually begins in infancy and may persist through childhood and into adult life. Certain factors may elicit a response in children, such as certain protein-containing foods, dust mites, or microbial agents. Other contributing factors include skin dehydration, pregnancy, menstruation, cold climates, irritating clothing, and most significantly, emotional stress. Eczema is caused by the immune system’s over-sensitive reaction to unidentifiable substances either foreign or regularly contacting the skin. These “triggering” events often lead to a chronic cycle of exacerbations and remissions in the affected areas. With each new exposure, the irritating or causative agent stimulates certain antibodies to cause an amplified release of inflammatory agents from immune system cells. These agents promote the formation small red bumps, itching, swelling, and flaking of the skin. The end result is a chronic inflammation of the skin, as well as a perpetual migration of blood cells and immune system cells to the affected location. An eczema flare may also trigger other allergic-like reactions in individuals such as hay-fever, sinusitis and congestion. Certain factors may trigger an eczema response, especially in children. These include protein-containing foods such as eggs, milk, peanuts, soy products, fish, and wheat, as well as dust mites, airborne allergens, or microbial agents. Other exacerbating factors include skin dehydration, pregnancy, menstruation, cold climates, wool and other irritating clothing, and of especially great importance, emotional stress. Exposure to adverse climatic conditions may also trigger or worsen an eczema response. In all cases of eczema, rubbing and scratching are behaviors that worsen the condition by introducing secondary bacterial infections to the involved areas. How Can My Eczema Be Treated? Although childhood eczema frequently subsides before adulthood, adult eczema often lasts years at a time and requires special management. Topical anti-itch lotions may be given to control excessive itching and rubbing. Topical steroid creams may help reduce inflammation. Topical anti-bacterial lotions or oral antibiotics may be given to decrease secondary bacterial infections. Laser treatments may also be used to treat small areas. The Exsys Excimer laser has been extremely successful in helping to improve small patches of eczema. This laser uses a carefully focused beam of narrow-band UVB light delivered through a sophisticated fiber optic device, and allows higher doses of narrow-band UVB light with minimal exposure of nearby, healthy skin. Hydration using unscented moisturizing lotions is important in preventing dryness, and non-liquid soaps should be avoided. Finally, identification and reduction of emotional stress factors may help prevent unnecessary eczema flares. Eczema can be a difficult, frustrating condition. The natural human desire to scratch or rub an itchy rash just makes the condition worse, and treatments can be slow and are not always completely effective. After several sessions with Exsys Excimer laser.